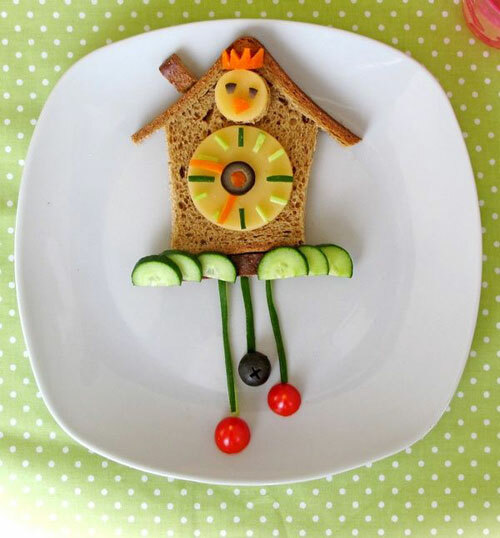 Wholistic Health YYC | Time to Play With Your Food! 24 Nov Time to Play With Your Food! Did you hear that growing up? Do you say it at your own dinner table? This is totally normal, but today I’d like us to give pause & consider how this eating script has shaped our eating patterns & perhaps is a mentality has come into our homes today. As a psychologist specializing in nutrition psychology and mindful eating, I love supporting clients — age 2 to 92— in playing with their food as a means of bringing more mindful awareness into daily life. Mindful eating is using all your senses in choosing to eat food that is both satisfying to you and nourishing to your body. It’s about interacting with your food in a joyful way—eating salad with your hands, licking your fingers, or stopping to smell the herbs—makes the food, and the process of creating it, better. Select ingredients that engage your senses, from bold colors, to interesting textures, or contrasting tastes. Interact with your food in a joyful way while preparing your food. Start with a Buddha like half smile and take it away from there! Make things you often opt to buy premade, such as chocolate! Try out this easy 3 ingredient chocolate recipe that will have you (mindfully) drooling! Plate a work of art. I often switch up my canvas — getting second hand one-off plates from thrift stores, or artful/seasonal plates from William Sonoma. Instead of simple eating an apple or banana whole, I slice and meticulously display on the plate. Then I hit the pantry and pick seeds, nuts, berries, nut butter of all colors and textures to decorate my canvas. By making food beautiful, we wan feast with our eyes to bring us into the present moment for the eating experience. Eat with your hands for a more playful (and sensual) experience! From eating salad or pancakes with your hands, to licking your fingers throughout your meal. Take kids’ lead! Children are naturally mindful eaters — using their senses as investigative tools they poke, prod, snif, squish, smash, and listen to their food! Prep for food play! Simply do all the cutting & prepping of food before hand so there’s less of a mess. Place different fruits, vegetables, & other ingredients either into individual bowls or muffin tins & let your child(ren) pick & choose what they want to put onto their plate to create something fun! For those with younger kids, this also means you’ll sustain their attention by having everything prepped & ready to play! Don’t follow a food dogma! Let go of all the food rules media, fellow gym goers, friends, or family share. Balance eating for nourishment with eating for enjoyment by mixing up what you pick up at the market or buy off the menu at foodie hot spots like Wild & Raw. It’s great to mix up what you cook and how you prepare it (raw, grilled, pickled, roasted, etc) in order to throw some playfulness onto your plate or into your Tupperware! Learn more about the practices of mindful eating with me throughout the month of December! Weds, Dec 13 “HOLIDAY COOKIE + WINE PAIRING :: Mindful Taste + Mingle Moms Night Out” in collaboration with Hot Mama Fit West, Little Tucker, Wild & Raw & more!